The Hulk unleashed // Was the backwards move perfect to release the 'real Hülkenberg'? The Mexican Grand Prix was a race that will be remembered for the stewarding precedents it set, as well as a bizarre battle for third but more importantly it kept the title battle alive for another race. Lewis Hamilton may have got away with it into turn one but it likely made minimal difference with his pace. And it was those further back who made the most of their machinery. A fresh start has unleashed Nico Hülkenberg. Even before he arrived, the feeling of ending groundhog day appears to have revitalised the German who was once viewed as the next big thing. Rarely will you see a lap as good as Hülkenberg's in Q3 as he stunned everyone to qualify in fifth ahead of both Ferraris. He provided a great opportunity to help Force India secure fourth in the constructors’ championship. That lap alone was arguably good enough to qualify him for a mention but he wasn’t exactly a slouch in the race either. Hülkenberg challenged Verstappen and Rosberg going into turn one having jumped Daniel Ricciardo. Unable to get through, Nico found himself holding off Kimi Räikkönen during the first stint, after Red Bull went bold on strategy and pitted on lap one. On a conventional supersoft-soft strategy, Force India ran their own race, potentially hindering them battling with the Red Bulls and Ferraris as they stayed out until lap 14, allowing Ricciardo and the Ferraris past. 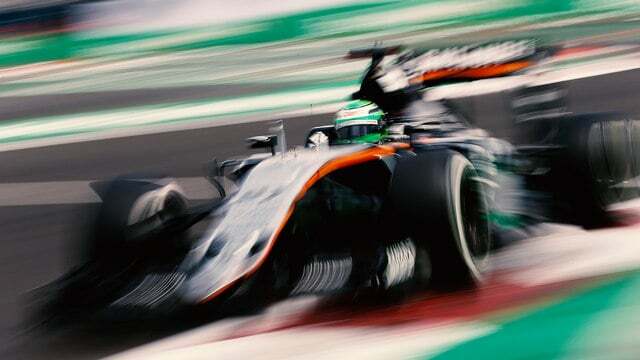 Even after showing incredible pace over one lap, the Force India gradually dropped back, falling 13 seconds behind. Hülkenberg’s race got a lot more exciting on lap 45 as Ferrari went bold on strategy, trying a two stop strategy which was unable to earn a podium. With very worn tyres and only a five second lead to defend it was a thankless task for Nico and he held on manfully. Eventually on lap 67, Räikkönen squeezed past as the German pushed his tyres beyond the limit into turn 4, unable to hold off any longer. Regardless seventh place comfortably ahead of teammate Pérez and the rival Williams shows Hülkenberg is motivated again. Now we can only wonder what he could have done in Texas before his first corner contact. 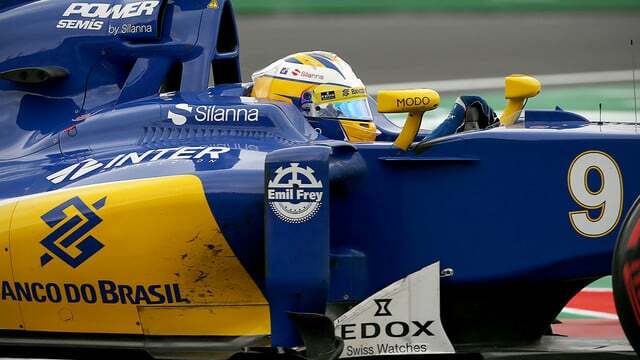 A snap strategy decision nearly proved very valuable for Sauber. After first lap contact, Ericsson had no choice but to pit, seemingly harming the Swede's chances of a strong midfield finish. Fortunately Ericsson started on the softs and could move on to a harder compound and Sauber fitted the medium tyres, throwing caution to the wind. 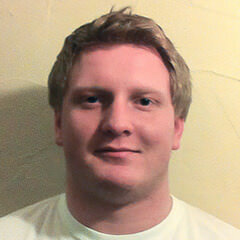 If Ericsson has a shot of a Force India drive, the next 70 laps certainly did his candidacy no harm. The Swede was last when the safety car came in, having had the worst start of the remaining runners from the turn one dodgems. Running at the back Ericsson knew that for his strategy to work, he had to keep pace with the midfield but any time the tyre slid across the surface he would have to live with the consequences for the rest of the race. By the time all of the first stops had played out, Ericsson's strategy was working well. He was up to 12th, ahead of the midfield that Sauber usually trail. On lap 49, he jumped past teammate Felipe Nasr who was the last to make his single stop. In 11th, Sauber were doing any dance possible as they hoped for trouble ahead. It would have launched them up to 10th and that single point would vault them ahead of Manor, bringing in millions of dollars to the team. Unfortunately their luck would end there, with no issues affecting those ahead. Even though it didn’t yield the result they needed, this was easily the best performance of the season for Sauber, beating their best result and also in terms of pace. Granted, they ended the race 50 seconds off the points but Ericsson's starring drive had them comfortably ahead of McLaren, Renault and Toro Rosso. Once again Ferrari flattered to deceive the F1 paddock with practice and Q1 speed which mysteriously disappeared. While Vettel finished fifth after the stewards had reordered the podium several times, the German's drive on Sunday deserves recognition. Vettel got stuck in amongst the Williams and Sergio Pérez in the early phase of the race after qualifying behind Nico Hülkenberg and getting a poor start on Sunday. Ferrari knew they were likely to come out on top in that battle having started on the soft tyres, allowing the German to run long and overcut those around him, eventually pitting on lap 32. What amazed though was quite how long he ran during his first stint, seemingly damaging his chances in the long run. However Ferrari and Vettel had a plan. While it seemed bizarre midway through the race, it left Vettel with far fresher medium tyres than Verstappen and the Red Bulls. After his stop he quickly tracked down the youngster and was desperate for a first podium since Monza. The problem was he couldn’t find a way past the Dutchman, even with better tyres. The German’s frustration was audible and grew to breaking point when Verstappen straight lined the first three corners on lap 68, much like Hamilton had done on the opening lap. Confusion ensued as Ferrari expected Verstappen to let their driver through but as ever Verstappen held firm. All of a sudden Vettel was a hunted man and it all came to a head on the penultimate lap, with a late lunge by Daniel Ricciardo which left Vettel moving late to defend as the former teammates avoided a crash masterfully. 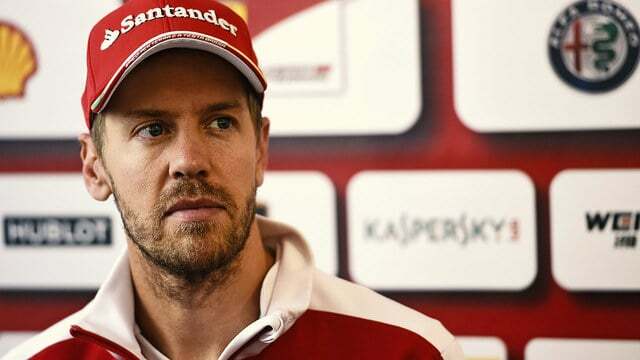 Vettel would ultimately be punished, rightly, for the late move, meaning that having been up to the podium in place of Verstappen, he would later lose his third place position. It was farcical and a poor advert for the sport for casual fans just getting to grips with the rules. Even after dropping to fifth with his penalty, Vettel deserves credit for a drive that saw him compete on pace with a faster Red Bull, exhibiting a strong combination of tyre preservation, aggression and outright pace. Vettel is clearly nowhere near his best psychologically, reminding you of himself in 2014 or Lewis Hamilton in 2011. It wasn’t his most masterful drive, but Vettel is still capable of a good performance even when things look bleak at Ferrari.